A little tube repair, a fresh partial vacuum, a whiff of argon, and she’s good as new. It’s been about twenty-five years since I found this hand-crafted wooden standup in a little seaside Marilyn Monroe/Betty Boop/Elvis memorabilia shop – at an irresistible post-season 50% discount. I imagine whoever made it back then would be pleased to know she’s alive and kicking. It’s nice to have her aqua glow back in the kitchen. The full cartoon can be viewed here. 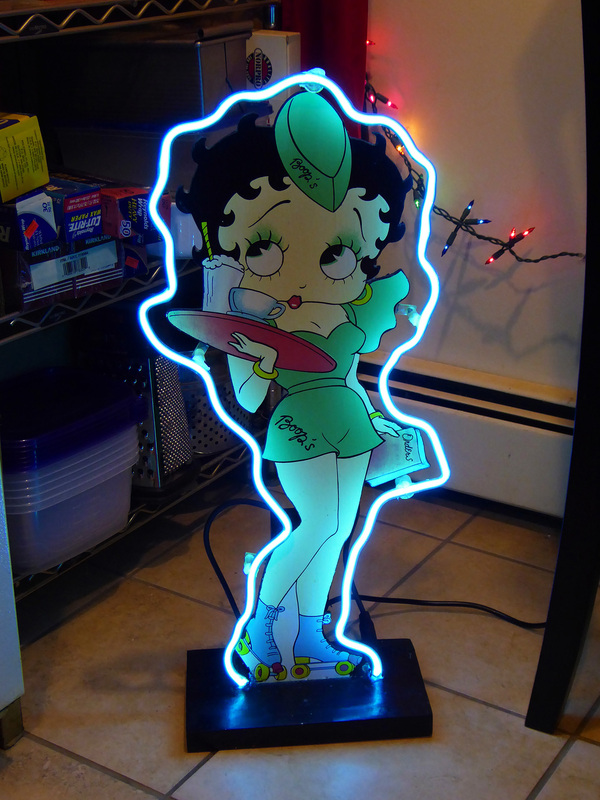 This entry was posted in Gallimaufry and tagged argon, Betty Boop, neon.